Some 30 professionals where successfully trained on how to properly monitor marine litter at a workshop organized by MIO-ECSDE and RAED, as consortium members of the EU-funded SWIM-Horizon 2020 Support Mechanism, together with the Egyptian Authorities, on 19-20 September, in Alexandria, Egypt. The workshop participants were introduced to the theme of marine litter, its sources and impacts, as well as the main legislative framework to combat marine litter, namely the Barcelona Convention Regional Plan for Marine Litter Management in the Mediterranean. The participants gained an overview of the ‘best’ available techniques and methodologies for monitoring marine litter in the coastal and marine environment. Most importantly, they had the opportunity to get acquainted step-by-step with the methodology for monitoring marine macro-litter on beaches and gain hands-on experience on how to perform beach litter surveys and interpret the results. 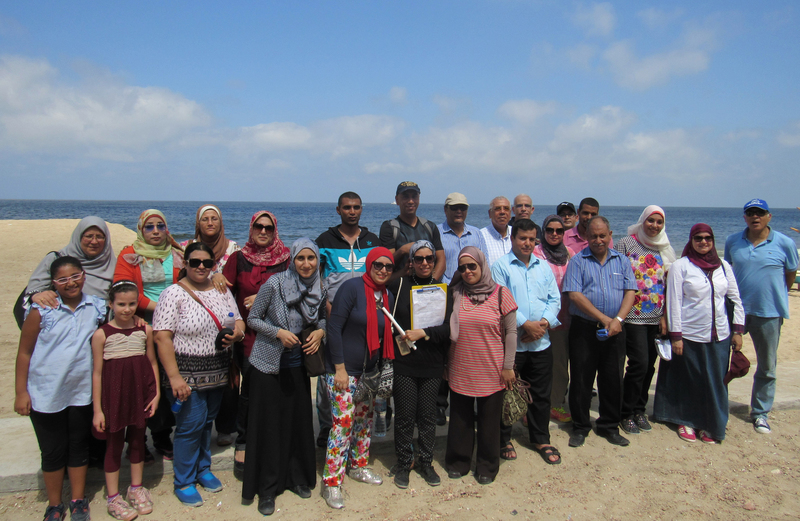 The participants surveyed two transects on the coastline of Alexandria and processed the respective data in order to obtain a snapshot of the marine litter density in the area and the potential main sources. The preliminary findings show that at least one marine litter item is found every two square meters of beach while the prevailing litter items are cigarette butts and filters, plastics caps and lids, straws and stirrers and drink bottles. These items primarily originate from tourism and recreational activities. Throughout the workshop emphasis was given to the practical implementation of the three marine litter indicators adopted within the Barcelona Convention Integrated Monitoring and Assessment Programme of the Mediterranean Sea and Coast and Related Assessment Criteria (IMAP – Decision IG.22/7). The outcomes of this 2-day workshop will be instrumental in selecting sampling sites for marine litter monitoring on the Egyptian Mediterranean coast and in conducting the pilot marine litter monitoring surveys as these are foreseen under the overall Expert Facility Activity. Soon, similar trainings will be carried out in Tangier, Morocco and in Algiers, Algeria.